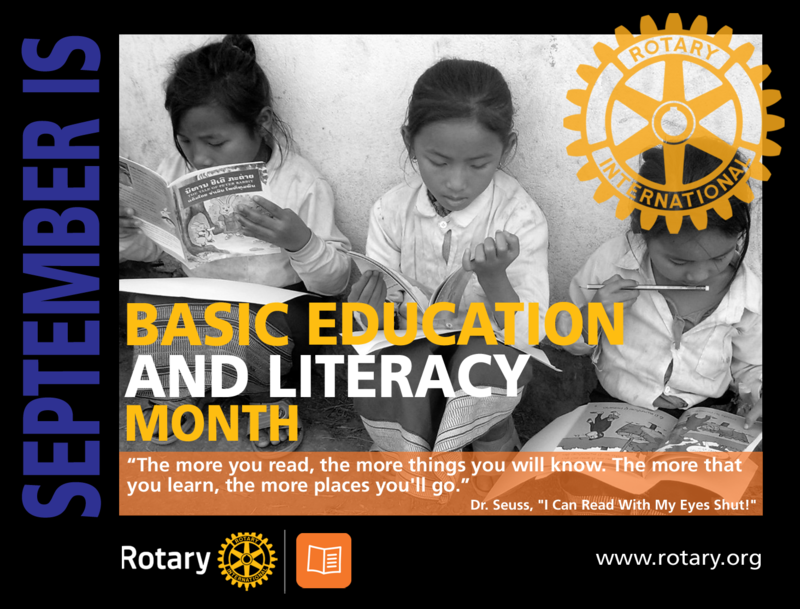 Rotary clubs all over the world are taking action to enhance basic education and literacy in their communities. Every community has different needs and different opportunities for service. RI’s publication, “Basic Education and Literacy: Project Strategies,” helps clubs ask the right questions, identify real needs, and make the greatest possible impact with the time, energy, and resources you have at your disposal. Want to learn more about Rotarians’ education and literacy efforts around the world? Click on this Rotary Weekly newsletter.